What’s even worse than the swamp? The company that Trump kept. 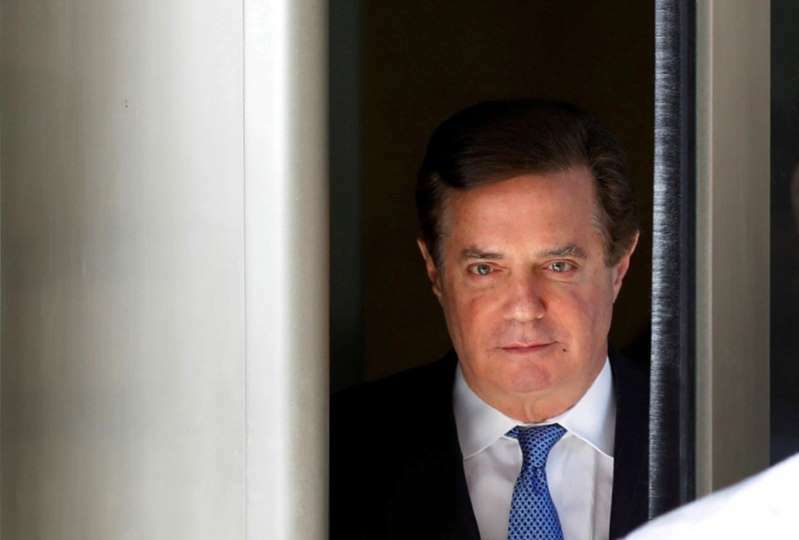 Monday’s proceedings in the trial of President Trump’s former campaign chairman Paul Manafort gave a tutorial in the “no honor among thieves” phenomenon. Former deputy campaign manager Rick Gates, a cooperating witness, detailed his own wrongdoing, including embezzling funds from Manafort, before testifying to a long list of purported crimes by his former mentor. In his first hour on the witness stand, Gates catalogued years of illegal activity, saying most of his wrongdoing was committed on behalf of his former boss, Paul Manafort, while other crimes were for his own benefit, including the theft of hundreds of thousands of dollars. Gates also made clear that he was testifying against Manafort with the hope of receiving a lesser prison sentence, having pleaded guilty in February as part of a deal with special counsel Robert S. Mueller III. [post_ads]Manafort’s trial in Alexandria, Va., is the first to arise out of the Mueller probe and marks a major public test of that investigation’s credibility. Mueller’s team is investigating Russian interference in the 2016 presidential election and whether any Trump associates conspired with those efforts. In particular, Gates detailed Manafort’s “15 foreign accounts they did not report to the federal government and that they knew [were] illegal” and intentionally misidentifying foreign money wired to the United States as loans. This was allegedly designed to avoid paying taxes. Gates is a problematic witness, to put it mildly. Boy Scouts usually don’t have eyewitness testimony of serious crimes over an extended period of time. To some extent, the testimony that preceded Gates — vendors from whom Manafort bought hundreds of thousands of dollars in clothes, an accountant who misstated income, etc. — paved the way for Gates to describe the inner workings of Manafort’s operation. Even if the jury doesn’t entirely believe Gates, the mountain of documentary evidence and other witness testimony is staggering. As a political matter, the trial has several troubling implications for Trump. First, it paints an ugly picture of the sort of people who sought out Trump and whom Trump vouched for. Honest, upstanding people didn’t go to work for Trump; Michael Cohen, Gates and Manafort did. It’s no crime to have friends who are accused of crimes, but it does remind us that Trump’s stamp of approval is no reflection on the person he’s supporting; it’s a function of what Trump needs (silence, praise, etc.). Remember Trump decrying the raid on Manafort’s house and the special counsel for trying Manafort? Take that as a reflection of Trump’s character, not Manafort’s. Second, the notion that this is all a witch hunt — no crimes! nothing to see! — is evaporating before Trump’s eyes. There was more than enough evidence to go after Gates and Manafort. The prosecutors still have to get a favorable verdict, but it is becoming ludicrous to argue that they’ve not been justified in pursuing Trump’s cronies. With a likely conviction in the bag, the gap between the prosecutors’ legal acumen and the Trump team’s should be glaring — and, to Trump, frightening. Third, this is only the first Manafort trial. He’ll go on trial later this year (unless he strikes a deal) for other alleged crimes, including witness tampering and failure to register as a foreign agent for a Russian-backed Ukrainian party. That’s when we’ll hear plenty about Russia. The extent of the relationship between Kremlin-aligned figures and the most senior Trump campaign official during a critical time in the race, including the Republican National Convention, should become clear. And finally, Trump lawyers’ attempts to paint his campaign organization as perfectly normal or, alternatively, as too incompetent to commit crimes look less and less credible as we learn more about these characters. No, normal campaigns don’t have a campaign chief with 15 foreign accounts to allegedly evade taxes, just as they don’t meet with hostile foreign powers peddling dirt on their political opponents. And a disorganized campaign leaves lots of room for people to do things they shouldn’t. Media pundits love to say that Trump has “redefined” the presidency. Wrong. He only redefines it and our constitutional system if he and his associates escape accountability. If they don’t, the guardrails of democracy will have held. Then Trump can be seen as the horrible exception to the rules rather than as the man who shattered the rules. The effort to reinforce the guardrails begins with Manafort’s trial, which explains why Trump is having a public meltdown. Politics - U.S. Daily News: What’s even worse than the swamp? The company that Trump kept.